Macolaepp micro-finishing compounds for ferrous , non ferrous material, glass, ceramics are of high concentration . Before using the have to be diluted ( diluting ration 1:45 to 1:100) with either oil, kerosene, turpentine or water, depending on the application. Available in 8 grades of grain sizes in microns, meeting the most exacting concentration requirement. 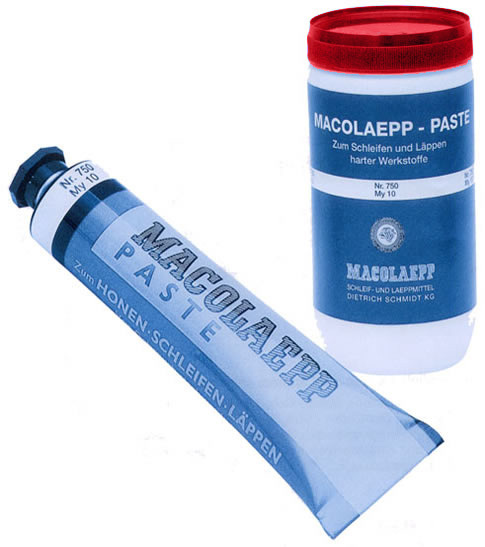 Special Macolaepp micro finishing and polishing compound available for Glass and Ceramics on request.